Do you like to sing, either in public or in private? If you do, great – you have at your disposal one of the most powerful healing therapies (sound). If you don’t, may I suggest you start, at least in the privacy of the shower or the car? 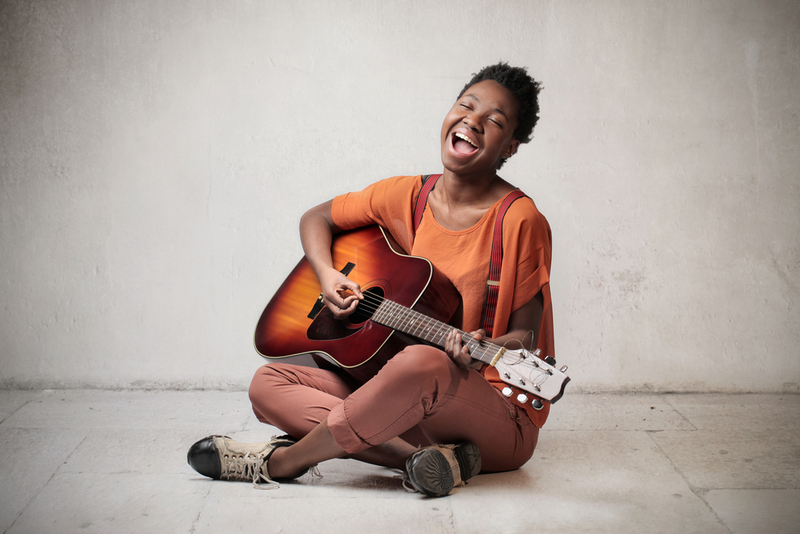 Read on to find out how singing can balance and heal your chakras. Everybody has a singing voice. It may not always be completely in tune or harmonious, but it’s there nonetheless and most importantly your voice is YOURS. You can use your own unique sound to heal yourself. Singing makes us feel vulnerable, if we’re not used to it. It’s sharing of ourselves, something that comes from inside and is now being exposed to the world. What we say with the spoken word, conveys some emotion… but never as wholly as singing, which by its very nature comes from a far deeper place than mere spoken words. If you start singing, out of that vulnerability comes being okay with who you are on a core level. You may never make it to national TV, but you will live a happier and healthier life if you express yourself in song. Each of your chakras correspond to a specific sound. When spoken, the vibration of this sound is relatively brief; but when sung, the resonance carries deeply into every cell and maintains that resonance, for a much faster clearing of any dissonant energy localized in that chakra. It’s really amazing how you can feel this resonance inside you, permeating you and healing you. And here’s the cool thing: it is more about the vibration of YOUR vocal cords, singing these specific tones, than about being pitch-perfect. So throw out the notion that you have to be a great singer! Resonance literally massages the internal organs and when you hold the sound – singing deeply from the diaphragm – you instantly relax, de-stress and become happier. If you’ve ever sat in one of those vibrating chairs at the mall, you know how soothing it is. Only with singing, you’re massaging yourself from the inside! You can intensify the effect by simultaneously visualizing the color of the chakra you’re singing to. Colors have a vibration too, so you’re doubling the effect! Next Story → Which of Your Chakras Are Blocked And How to Fix Them?